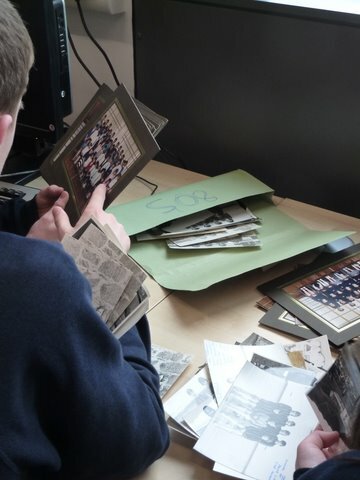 On 22 March, David visited Sir E Scott School to work with the deputy head, Calum Mackay, and pupils to sort the schools archives. 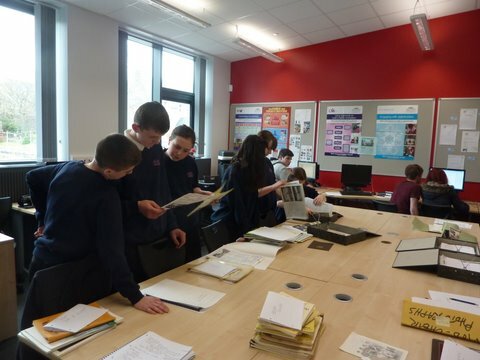 We started by looking through some school material that had already been sorted from the 1960s-2000s. This included head teachers reports, education projects and press cuttings relating to school events, Mods and the local area. Some records had been sorted roughly into bundles by decade but were still a bit of a mess. 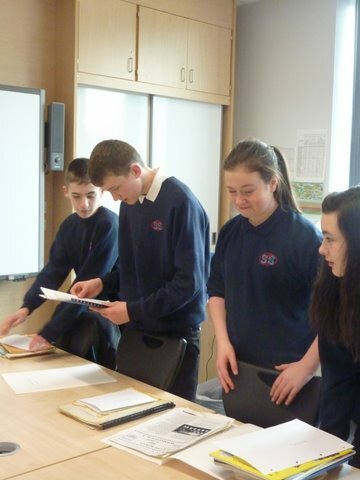 In groups, the pupils had to sort the contents of each bundle into sections. This required them going through the bundles to get a feel for their contents and coming up with a logical scheme of arrangement. 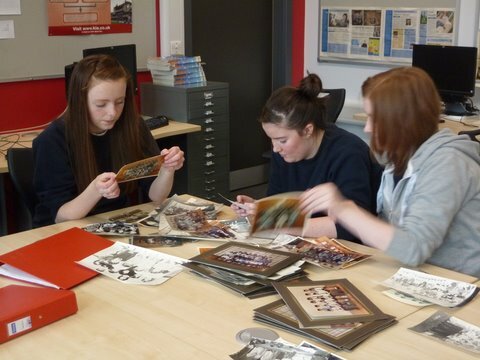 So, photographs were divided into class images, teacher images, plays and activities, and sports. Paper records were divided into newsletters and other documents. Much hilarity at 1980s haircuts and fashions ensued and parents and relatives were recognised. The result of the afternoon’s work was neatly arranged archive collections that are ready for catalogue on another visit soon! This entry was posted in Uncategorized and tagged Harris, Sgoil an Tairbiart, Sir E Scott School, Training. Bookmark the permalink.